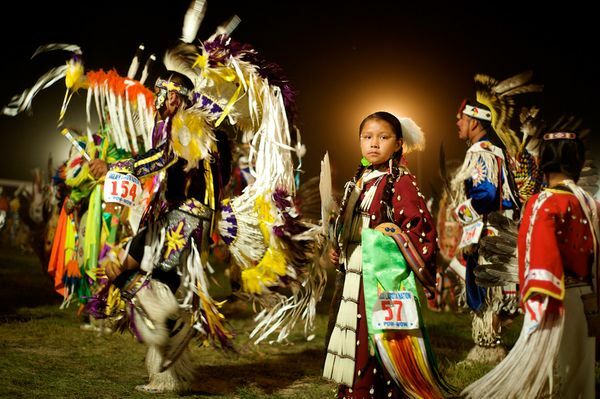 The Pine Ridge pow wow is the biggest weekend of the year on the reservation and is an important aspect of preserving and honoring native traditions. The world’s tallest prairie dog statue. A giant angry smoke breathing T-Rex. Cups of coffee for a nickel. Wild buffalo herds. Moon-like topography. Expansive grasslands. Chinese tourists. Fleets of RVs. Indian reservations. All of it becomes a big jumble of gaping contrasts around the Black Hills of South Dakota. And in no place was this more evident than in Pine Ridge, in the southwest corner of South Dakota, on one of the poorest Indian reservations in the country. Pine Ridge is a community that knows poverty unlike almost any other zip code in America, not to mention diabetes, teenage pregnanacy, gang violence, and alcoholism. 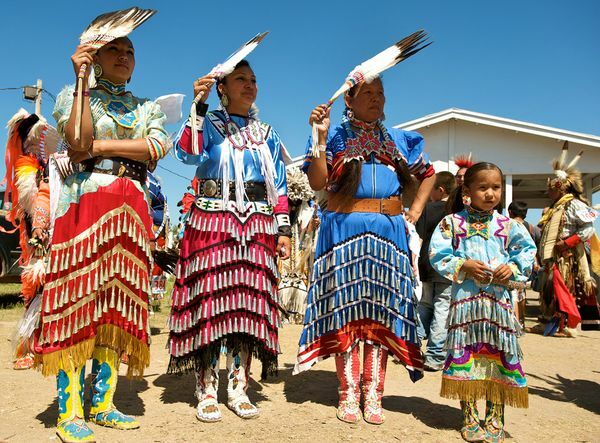 In the wealthiest nation in the history of the world, Pine Ridge stands out as a great exception. Running water and electricity are absent from a huge number of homes. Families are broken as frequently as windows. And in twenty years, one woman told us nothing had changed except for the new Subway. 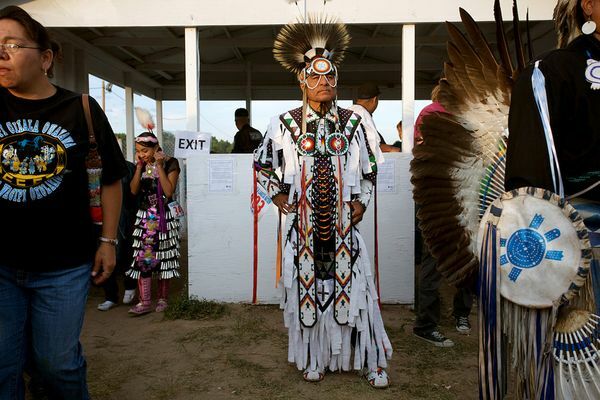 On the Pine Ridge reservation, fewer and fewer of the younger generation are speaking Lakota. 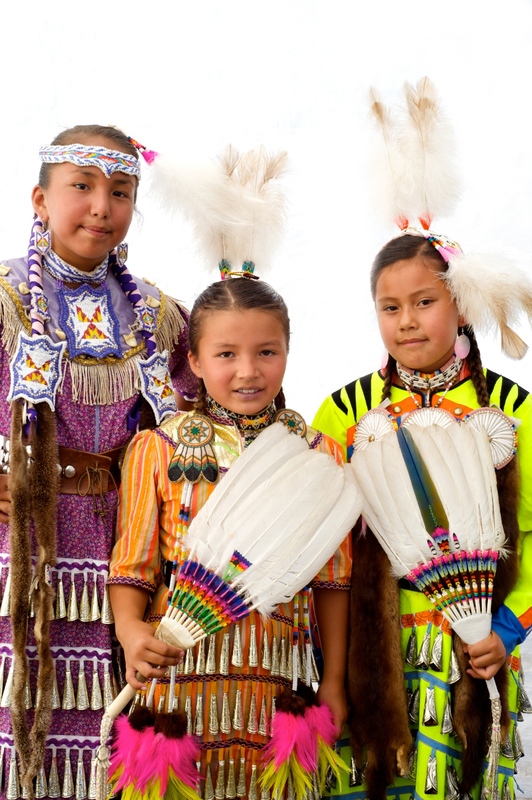 Basketball is far more popular year round than native dancing. And traditional garb is worn far more infrequently than contemporary urban labels. 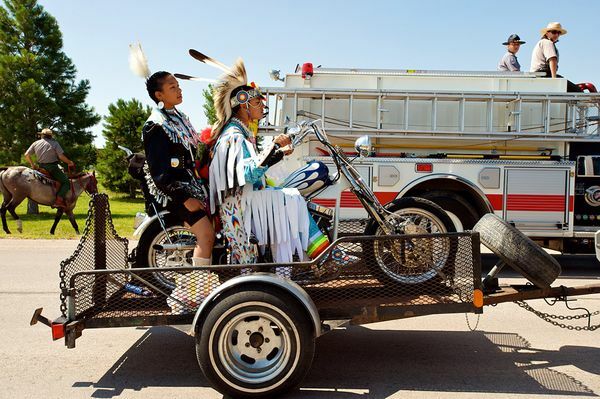 In an era of surging wealth for Indian communities who are distancing from their past and profiting from casinos and natural resource extraction, it’s unclear how Pine Ridge will evolve and transform, if ever. 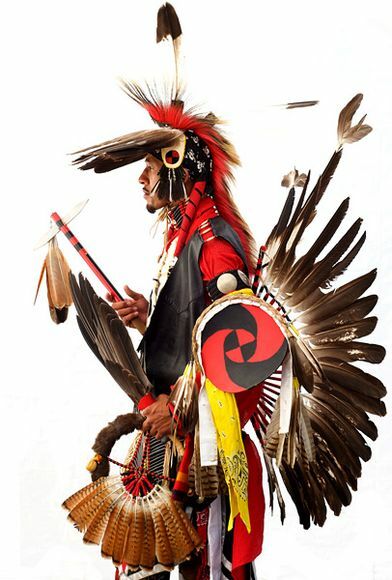 Responses to "Oglala Lakota Nation Pow Wow (Photos - Video)"
I love the dancing and the Drum's are my favorite! What it would be the solution to the problem of the Pine Ridge? And same about the others native American reservations? It's not only the lack of money I think. What do you think? My apologies to readers who may find this comment off-topic. It is about my dog Koda and his reaction to the above video or, more precisely, to its sound track with powwow drums and their beat. I lived for ten years near or in Indian Country but came back, with my three dogs, to my home country, France, four years ago. They are my family, no leaving them behind. Whenever I play a video with wolves howling, they join in, in the most realistic and convincing way. I would be disappointed if they did not, for ordinary pooches will often attempt to do so, and two of my dogs are wolfdogs and Koda is a coydog. Apart from that, they take no notice of what I do on the computer except for the nearly inaudible (to me) "ping" it does at the end of the closing down sequence. To them, it suggests "walkie time" or "chow time" and they get excited. Koda was laying down dozing at my feet when I started playing the video. He shot up and stood transfixed, rigid, his eyes staring unfocussed at the screen and ears trained forward to the speakers. He would relax some as the drum sound track was muted for the commentary by Sinte Gleska, and he would freeze again when the drums returned to full volume. I do not know if the two wolfdogs had any reaction; they were in another room and did not turn up during the video. All were exposed to live Indian drumming but more than four years ago, which is a long time in a dog's life. The recording definitely meant something to Koda. He is a rez dog, born at Inchellum, in the Colville reservation, WA. I met him at an off-rez powwow. He was a three-month old puppy belonging to a young Palus girl from the Colville rez. She was giving him a hard time, constantly tugging at his leash in a jerky way, lifting him off the ground. He was a ball of nerves and made very snappy. I felt sorry for him and asked the girl if she would consider selling him to me. She instantly agreed in principle but we could not agree on the price. I hate "Shuyapus" or "Wasicus" taking advantage of Natives but I do not like being taken advantage of either! I had a made a fair offer. The girl said she would think about it, and I gave her my phone number. 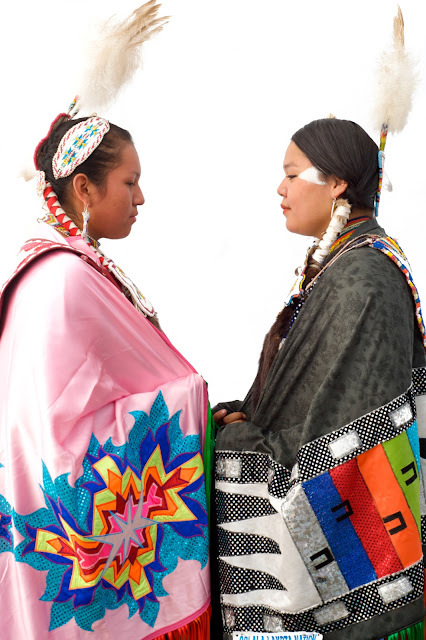 The powwow lasted two days and then the girl and puppy returned to Nespelem, on the rez. She called, back, saying she accepted the offer. Two weeks later I went to Nespelem to collect the dog (and added, unasked, some extra to the agreed sum). I asked what his name was. Koda. Did it have a meaning? She did not know and did not think so. It was her boyfriend, from another tribe I have forgotten which, but not Sioux, who had named him. Whether it was intentional or coincidental, koda means "friend" in the Dakota language, so I found it suitable and kept it. To begin with, he was anything but friendly. A high-strung ball of nerves and was a biter. It took a couple of months to turn him around. When he finally did, he was within one more bite from being taken to the pound. A year and half later, Koda, the two older wolfdogs and I went to live with some Oglala friends on the Pine Ridge rez. 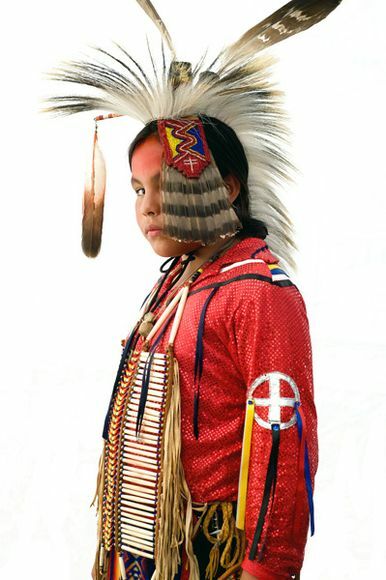 His name there should have been Kola ("Friend" in Lakota) but he was nicknamed "Zi" after his yellow (actually fawn) robe. What was Koda thinking about just now, reacting so intensely to the drums? Was he reminiscing about his not too happy puphood days or about the good but lean and hungry times in Porcupine? Excellent article and interview. Many may learn from this. Sad that America can "give" aid to every other nation except the first nation of the US. It is time to help our own. Building homes with running water and electricity for all of the people on the reservation. Have the men help with the building, they will feel pride and carry that with them always. Help our own especially in times like these. I thought it was odd when my cat did the same thing. I have a radio app on my phone and I listen to some tribal stations. When they play drumming and singing, my cat stops what he's doing and runs to me and he will rub up and down on me and on my phone. Then he'll sit or lay down and stare at the phone and listen till its done.